Posted in APEC, ASEAN, ASEAN Centrality, ASEAN Economic Community, ASEAN--WEF, Development Diplomacy and Soft Power, East Asia Summit-ASEAN, Foreign Affairs, US-ASEAN Relations, www.eastasiaforum.org. The Australian government has published a new Foreign Policy White Paper. It is 14 years since the Howard government launched its own Foreign Affairs and Trade White Paper in 2003, although the Gillard government produced the Australia in the Asian Century White Paper in 2013. Much has changed in Australia’s international environment since either of those papers were released. Indeed, much has changed since the initiation of the current White Paper process some 15 months ago. Few would have predicted the election of Donald Trump, the extent of protectionist sentiment in North America and Europe or the acceleration of the North Korean nuclear crisis. In this new and more complex international economic and strategic environment, the Australian government has produced a foreign policy blueprint that is refreshingly frank in its depiction of the challenges its policymakers now face. In this week’s lead essay Peter Drysdale describes the White Paper as ‘a masterly articulation of the fluidity and uncertainties in Australia’s diplomatic circumstance today’. The White Paper makes clear that the most significant of these challenges stems from the two major powers in our region — the United States and China — and the relationship between them. Few will be surprised by Australia’s view that it faces a more contested and uncertain international environment as a result of the changing balance of power between the United States and China and its concerns about how China may use its political, military and economic weight in the future. What will surprise observers is the White Paper’s unequivocal statement of the threat to international order emanating from the United States. Those threats include deep-seated protectionist and anti-globalist sentiment, a lack of support for key global and regional institutions such as the World Trade Organisation and debate about the country’s willingness to pay the costs of ongoing global leadership. The White Paper states time and again that the United States will remain Australia’s most important international partner and ally. But in betraying such a note of alarm about US retreat it is apparent — as one observer has argued — that the Australian government ‘doesn’t believe its own public rhetoric about the United States as some sort of security guarantor’. Drysdale explains that ‘for the first time here there is clear official acceptance, and disclosure to the public, of the diplomatic problems that Australia and its partners now confront’. So the Australian government is shifting its diplomatic attention to the region — in particular to what it calls the ‘Indo-Pacific’ region. It has adopted the Indo-Pacific label because it sees India as a future economic power and, more importantly, as a hedge against China. 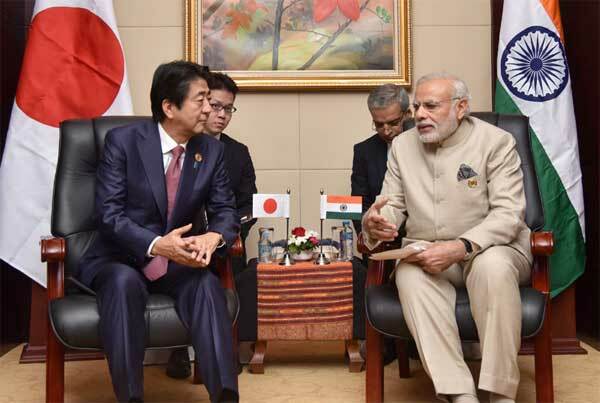 In the face of an uncertain US ally and a more assertive China, the Australian government sees partnerships with major Indo-Pacific democracies — India, Japan, Indonesia and South Korea — as the best means of shaping the future regional order. Australia’s decision to commit greater diplomatic attention (and presumably resources) to these regional neighbours is a welcome and much-needed change. But its focus on the democratic character of the countries with which it is choosing to partner is problematic. Such a strategy will likely inhibit Australia’s ability to deepen its engagement with governments of a range of different political stripes across Southeast Asia — a region that is critically important to Australia’s economic interests and which the White Paper defines as sitting at ‘the nexus of strategic competition in the Indo-Pacific’. The reframing of the region to downplay continental Asia — a region that is responsible for the largest part of global economic weight and dynamism — and emphasise the Indo-Pacific — a primarily maritime security construct — brings some risk for Australia. As Drysdale explains, the Indo-Pacific nostrum is not a diplomatic concept anywhere tested in the White Paper, ‘except through its footnote definition as a geographic area that touches every continent bar Europe’. More importantly, the White Paper proposes no clear framework for how to deal with China: the major power in the region. Instead, it is a relationship that the White Paper seems to suggest will proceed largely ‘business as usual’. This is a missed opportunity. Drysdale notes that President Xi’s ’19th Party Congress commitment to the multilateral system and a shared community of interests’ is the obvious agenda on which to engage China and put real meat on the bones of an upgraded Australian Comprehensive Strategic Partnership with China (which the White Paper recommends). The paper acknowledges the importance of the China relationship for Australia both in terms of China’s economic weight and in terms of the challenges posed by China’s rise. Those challenges are seen as China’s potential use of coercive power, anxieties about its influence on Australia’s domestic institutions and society, frictions stemming from differences in the two countries’ interests, values, and political and legal systems as well as questions about China’s record on international rules and norms. 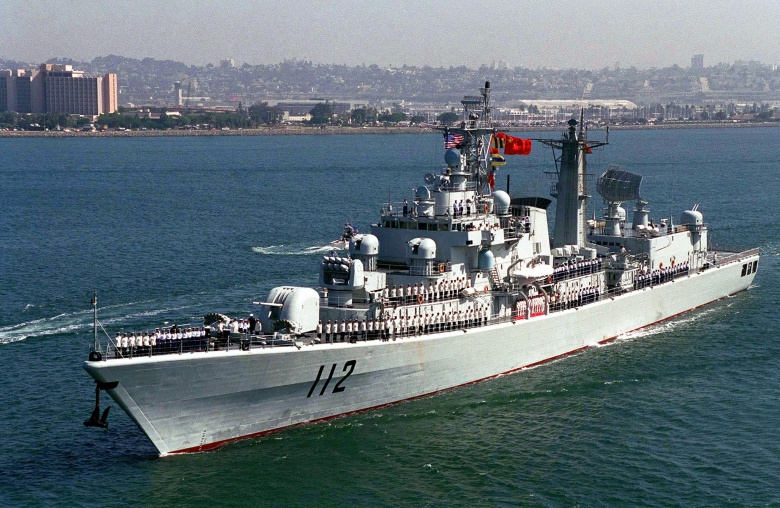 On the latter point, the White Paper clearly views China’s behaviour towards smaller countries in the South China Sea and its apparent challenge to freedom of navigation as litmus tests for how Beijing will operate in other international settings, although it fails to acknowledge that while China may be challenging freedom of (US) military navigation in the South China Sea, freedom for commercial shipping remains unimpeded. Given the scale of these political and security challenges, the importance of China to Australia’s economic future and the fact that China will influence every regional and global issue on which Australia has an interest, it is disappointing that the White Paper does not propose specific measures for how to elevate the Australia–China relationship in ways that will allow the two countries to manage this critically important relationship and the difficulties that will inevitably ensue. The White Paper succeeds in spelling out Australia’s foreign policy challenges and, as Drysdale advises, ‘should not be relegated to the dustbin’ by any future government. Some of the gaps in the strategy to achieve the White Paper’s aims are filled by existing, carefully considered public studies that engaged the public in their making. The previous government’s Australia in the Asian Century White Paper has a clear strategy for engaging the Asian economy and developing the diplomatic, business and community assets to do so. 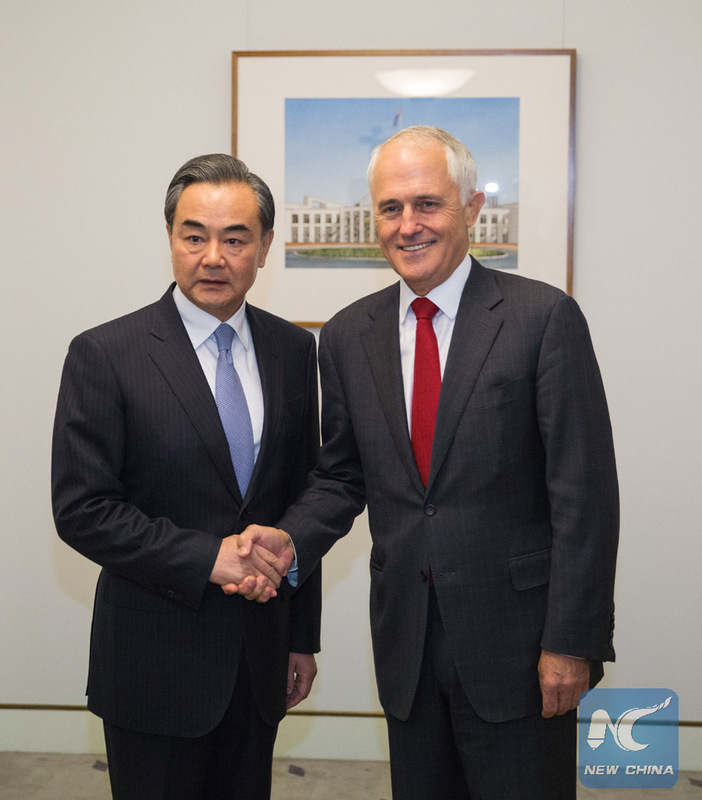 The Australia–China Joint Economic Report defines clear ways to elevate the bilateral relationship, to work at furthering shared interests and to make the management of the complex relationship much easier. Some of the central ideas in these complementary studies are reflected lightly in the Foreign Policy White Paper, but taken together these strategic documents offer practical guidance for Australia to navigate and shape its region in the coming years. The EAF Editorial Board is comprised Peter Drysdale, Shiro Armstrong, Ben Ascione, Amy King, Liam Gammon, Jillian Mowbray-Tsutsumi and Ben Hillman, and is located in the Crawford School of Public Policy in the ANU College of Asia and the Pacific. Getting foreign policy right at this point in world diplomatic history has never been more difficult. For that reason the Foreign Policy White Paper launched by Australia’s Prime Minister Malcolm Turnbull, Foreign Minister Julie Bishop and Trade, Tourism and Investment Minister Steve Ciobo in Canberra last week is a welcome beginning to an important public debate. It is a masterly exposition of the fluidity and uncertainties in Australia’s diplomatic circumstance today. For the first time, there is clear official acceptance and disclosure to the public of the diplomatic problems that we confront as regional tensions rise. The White Paper explains in detail, reassuring as its tone may be, that Australia is caught between an unpredictable and perhaps unreliable US ally and an unpredictable and possibly unreliable Chinese partner. It offers few solutions but the franker admission of what the situation looks like is a big step forward. The economic growth that’s come with globalisation has quickly changed the international balance of power. The United States, which has been the dominant power in the Asia Pacific region since World War II is now challenged by the rise of China. The world is more interconnected than at any other time before. New technologies as well as the transmission of the know-how and scientific knowledge lifts opportunities and prosperity at the same time as it spawns political alienation and the reach of non-state actors who would do us harm. Risks to the global commons demand collective action. These are the big challenges that Australia and its partners now confront. What’s new is the intensification of the tensions around this change and its corrosion of the pillars on which Australia’s foreign policy is based. If the White Paper had been written when it was initiated well over a year ago, before the election of President Trump, the escalation of the Korean crisis and Brexit’s blow to Europe, it would have had an unquestionably less urgent and less ambiguous tone. In the White Paper there is no budging on rock-solid faith in the US alliance relationship as the bastion of global rules and its importance to Australia’s navigating new uncertainty. Equally there’s unequivocal statement of the importance of Australia’s partnership with China and acceptance of legitimacy of China’s sharing responsibility and power as well as the reality that (like all great powers) China will seek to influence the region to suit its own interests. What the White Paper makes clear is that the Australian government and bureaucracy, which have been so closely entwined with the United States in the past, are alarmed by the decline of US military power and influence and Trump’s discarding the conventions of the international economic order. 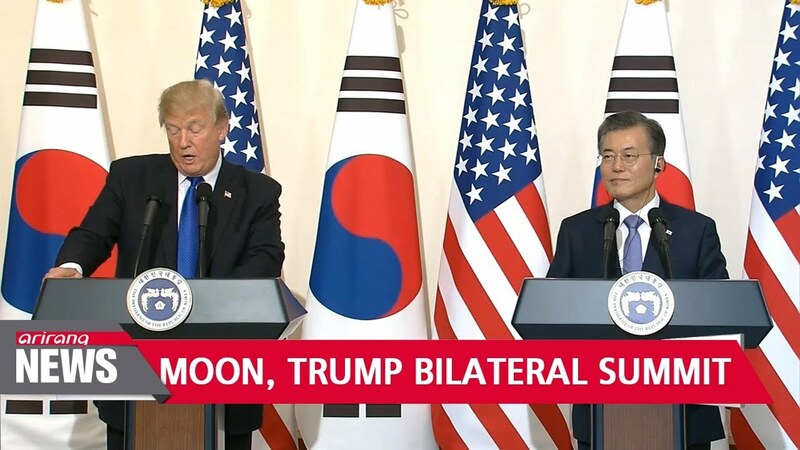 He has abandoned the rules-based system — commitment to abiding by the WTO, the TPP, NAFTA, the Paris Accord and probably its KORUS agreement with South Korea — on which the world has depended to bring order to the global system. In China’s militarising of the South China Sea and heavy breathing in disputes over territorial issues as well as increasing internal repression and the cult of personality surrounding President Xi, the White Paper sees dangers from the international use of coercive power. The White Paper’s refreshing frankness is nonetheless folded in a conceptual frame that accentuates the negative response. The paper adopts the Indo-Pacific idea but neither tests nor defines it — except through its footnote definition as a geographic area that touches every continent bar Europe. We know it is a maritime security construct that’s been part of military dialogue for some time. That is one element in responding to the complex problems we now all face — but only one. It is an element that vastly underestimates the complex economic and political interdependence with mainland Asia that Mr Trump in Washington, Mr Xi in Beijing and everybody else in the region has to deal with day by day. There are other strategies and actions which Australia can take: asserting constructive influence with like-minded countries to persuade both China and the United States that their current courses court danger more than opportunity. The day that the White Paper was launched, the Wall Street Journal reported escalation of the Trump administration’s plans for trade war. Unchecked, these moves will wreak havoc on the global trade regime — a regime that more than any other rules-based system is the foundation of Australia’s and Asia’s economic prosperity and political stability. There needs to be an immediate and vigorous response from Asia through conclusion of the ASEAN+6’s Regional Comprehensive Economic Partnership and its calibration as part of an over-arching strategy on global trade to check Trump’s recklessness. China will not be turned towards reducing security concerns without up-close engagement. The White Paper identifies one important priority: to upgrade Australia’s Comprehensive Strategic Partnership with China. But on how and to what purpose, the White Paper is silent. There’s chance to work with China on Xi’s 19th Party Congress commitment to the multilateral system and a shared community of interests. That is an investment worth the risk. Yelping from the sidelines is no effective strategy. Delivering regional security and prosperity requires resourcing and developing diplomatic strategies in concert with Asian partners, including China, as the White Paper urges. Strategies that engage China will alleviate concern in Beijing by those who read the White Paper as an attempt to contain it. 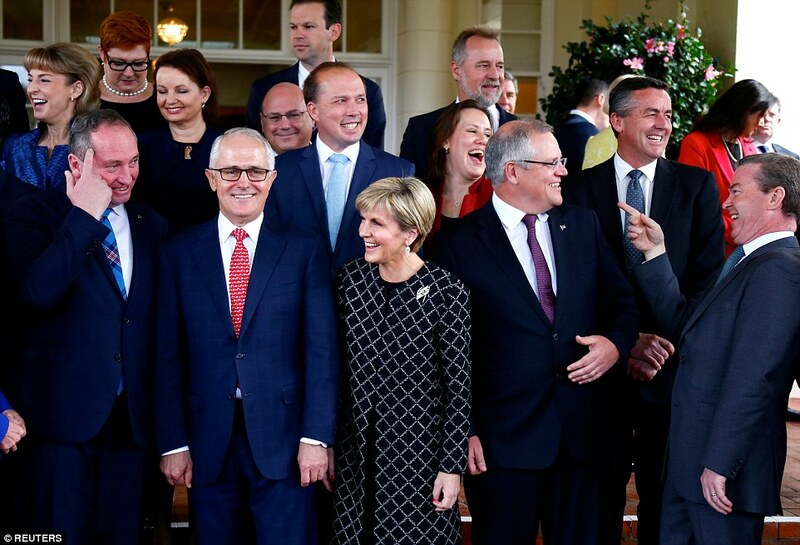 The temptation of some subsequent government will be to tear this document up, like the current government discarded the Asian Century White Paper, expunging Asia from its diplomatic lexicon and short-changing Australians. Both the robust narrative and the more fragile conceptions of how to deliver Australia’s prosperity and security in the White Paper invite serious debate. It would be unfortunate if partisan disputes (not least between the more unthinking supporters of the United States and China) resulted in the paper’s being sidelined or ignored in future policymaking. Peter Drysdale is Emeritus Professor, Head of the East Asian Bureau of Economic Research and Editor-in-Chief of East Asia Forum at the Crawford School of Public Policy, The Australian National University. Posted in APEC, Australia, Defence-Security, Foreign Affairs, Foreign Policy, International Affairs, Public Accountability. Joonhyung Kim received his undergraduate degree in political science from Yonsei University, and obtained his Master’s and Ph.D. in Political Science from The George Washington University. He is currently a professor of International and Area Studies at Handong Global University, and is serving in the Office of National Security, the Ministry of Foreign Affairs’ Policy Planning and International Organizations Office, as well as a member of the innovation committee of the Ministry of Unification. Reprinted with permission from the East Asia Foundation. Views expressed are those of the author. 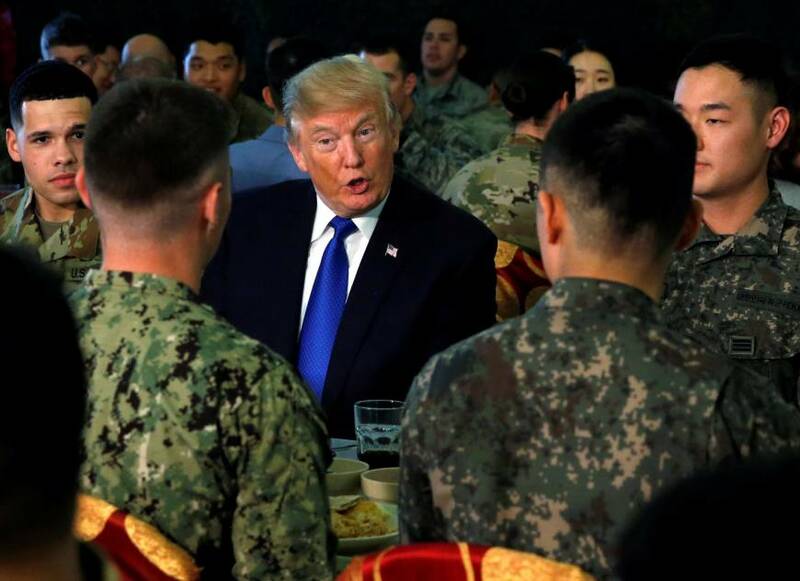 Posted in APEC, ASEAN, Asia, China, Defence-Security, Diplomacy, Donald J Trump, East Asia Summit-ASEAN, Foreign Policy, Geo-Politics, Japan, Korea, North Korea. President Rodrigo Duterte, who took over the chairmanship of the Association of Southeast Asian Nations a year ago, is responsible for a decision to mute controversy over ownership of the South China Sea that has drastically changed ASEAN’s role in the resolution of the longstanding territorial dispute between its claimant-states and China. Duterte’s year-long leadership of the 10-member pact was hardly a watershed. Overall, the Philippines did put ASEAN towards a more productive path on some points by steering clear of the more contentious issues of addressing human rights issues or giving claimant states much-needed regional support in their territorial conflict with China. “Given ASEAN’s constraints and limitations, its modus operandi and increasing workload of consultations and discussions, it is difficult to see what else it [the Philippines] could have done within the one-year chairmanship that could make ASEAN more progressive and more productive,” said Jay Batongbacal, director of the UP Institute for Maritime Affairs and Law of the Sea. On the issue of the South China Sea and China’s claim to virtually all of it via its so-called Nine-Dash Line, the events of the last year draw a clear contrast to previous actions. Two decades ago, the Philippines had to ask for the help of the Association of Southeast Asian Nations (ASEAN) over China’s reported military installations in Mischief reef, an atoll claimed by both Manila and Beijing. 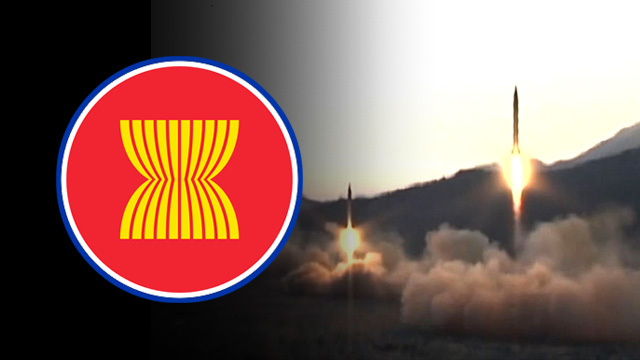 ASEAN came to the rescue with a joint communique calling for a code of conduct in 1996, designed to set restrictions on the construction of buildings and military activity in the sea, which was being claimed by ASEAN members Malaysia and Brunei. Vietnam, another claimant, joined ASEAN later. Fast forward to 2017. ASEAN, under Duterte’s chairmanship, and China has endorsed a framework for the code of conduct. It was Chinese foreign minister Wang Yi – and not ASEAN – which announced the adoption of the framework at the ASEAN Foreign Ministers’ Meeting in August. ASEAN and China now have announced their commitment to negotiate, saying it “is important that we cooperate to maintain peace.” After 21 years since ASEAN first raised the need for a code of conduct, the negotiations will start next year. It won’t ultimately show ASEAN’s unity. Ironically, even as it signals an important milestone in the history of resolving the maritime rows between China and clamant-states, it also cements the return to settling the territorial discord over South China Sea through bilateral talks – just the way China wants it. As the height of irony, the first sign of the thawing of Manila’s cold relations with Beijing started when the Philippines won its dispute against the latter when an international court in The Hague struck down China’s nine-dash claim in July 2016, scoring a significant win for the Philippines which, devoid of military might, had to cast its lot in the international court of arbitration. It was a historic win in a David-vs-Goliath scenario. But Duterte was quick to change the tone of the triumph, calling “on all those concerned to exercise restraint and sobriety” instead of celebrating the stunning rebuke to China. There are two major explanations behind Duterte’s lackluster reaction. US President Barack Obama chastised the Philippine leader for alleged human rights violations allegedly committed under Duterte’s violent and murderous war on drugs, sparking a furious response from Duterte, who responds to criticism of his actions with hair-raising rhetoric. But in addition, Duterte has always maintained that the Philippines is no match for the military and economic superpower China and that as an Asian neighbor it is in the Philippines’ interest to make its own pivot. That is a mantra that defined the Philippines’ ASEAN chairmanship. And, while it marked a shocking turnaround for the Philippines – which used to be counted on as one of the most aggressive and vocal ASEAN-member states in its opposition to China’s expansionism in South China Sea – it did help keep China at the negotiating table until a framework on the COC was finalized. “The Duterte administration’s ‘softly’ approach on its disputes with China in South China Sea permitted the framework agreement to be realized,” said Malcolm Cook, Senior Fellow at the Institute of Southeast Asian Studies (ISEAS)-Yusof Ishak Institute. Prior to Duterte’s reign, his predecessor Benigno Aquino III explored different ways to strengthen the position of the ASEAN claimant-states. The Philippine Department of Foreign Affairs proposed a Zone of Peace, Freedom and Cooperation in the South China Sea in 2011 to enclave the Spratly and Paracel islands and turn them into a Joint Cooperation Area. The proposal, however, did not gain much support from other ASEAN members. The following year, China and the Philippines would engage in a standoff in the Scarborough Shoal, pushing the Philippines to consider taking the legal route – and eventually winning – against China. ASEAN, however, was divided over the Philippines’ victory in 2016. 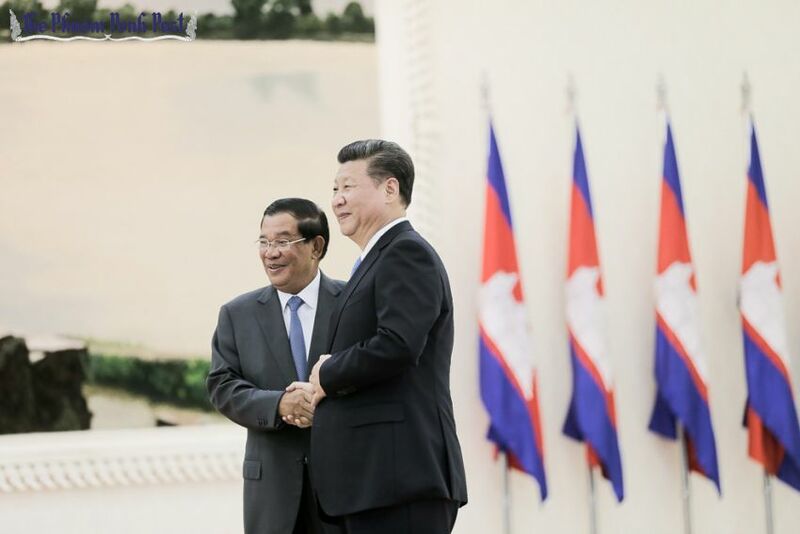 While Vietnam lauded it, Cambodia – which considers China a major economic ally – objected to it being referenced in the joint communique at the 2016 ASEAN Foreign Ministers Meeting in Vientiane, Laos, resulting in the first time the organization failed to agree on a joint communique. When the Philippines chaired ASEAN in 2017, it adopted Cambodia’s stance, negating the mention of Manila’s momentous victory in any forum involving ASEAN and China. The Philippines took that a step further by opposing the inclusion of any objection to China’s alleged militarization and land reclamation in South China Sea in the joint communique in August. In the ASEAN Regional Forum in August 2017, Philippine foreign affairs Sec. Alan Peter Cayetano admitted that the Philippines wanted references to land reclamation and militarization in South China Sea dropped in the joint communique, forcing Vietnam into a corner. “They’re not reclaiming land anymore, so why will you put it again this year?” he said. In the end though, consensus prevailed and the chairman had to give in. The Philippines withdrew its opposition and the joint communique contained language showing concerns over China’s reported militarization and land reclamation activities. But up until the 31st ASEAN Summit in November, even as the Philippines was caught in another standoff – albeit briefly – with China in Thitu (Pag-asa) island, the Philippines was still generally cordial in its approach. The most that Duterte did is to bring up with China the concerns of ASEAN about freedom of navigation in the strategic trade route, which China said it wouldn’t impede. “The warmer ties between Philippines and China, combined with the chairmanship of the Philippines, were instrumental in drawing down the prominence of the (South China Sea) SCS disputes on the ASEAN agenda, from being a divisive issue in 2013 into a practically peripheral matter in 2017,” Jay Bongalo, director of the UP Institute for Maritime Affairs and Law of the Sea said. Even if the Philippines was able to get the negotiations on the COC going, ASEAN as whole and at its best, will now largely focus on crisis management or prevention. When it comes to resolving territorial tiff, each country will now be left on its own – a crucial victory for Beijing. In the 31st ASEAN Summit, allegations by a long list of human rights organizations over violations and extrajudicial killings in the Philippines were brought up by the US (though this was denied by the Philippines), Canada and New Zealand, countries that are external partners of ASEAN, but not by ASEAN members themselves. The Philippines, which decried any criticism over the issue from other countries, was also silent on another human rights concern, the plight of the Rohingya in Myanmar. The Rohingya ethnic group had to flee the Rakhine state in Myanmar due to cases of persecution and discrimination. Malaysia has yet to find an ally from ASEAN. At the ASEAN defense ministers’ meeting, Philippine Defense Sec. Delfina Lorenzana said that ASEAN agreed the Rohingya problem is an “internal matter” in Myanmar. ASEAN’s hands-off attitude over the human rights problems in the Philippines and Myanmar were to be expected, however according to political analysts given the body’s principle of non-interference. Malcolm agreed, saying ASEAN’s hands are further tied by its principle to act based on consensus. While saying that ASEAN’s response to the reported human rights violations in the Philippines and Myanmar were far from sufficient, one should not expect much from it. There’s one bright spot, however when it comes to ASEAN’s action on rights – and that is the signing of the ASEAN Consensus on the Protection and Promotion of the Rights of Migrant Workers. The agreement, which gives allows migrant workers to form unions apart from enjoying other rights, came 10 years after ASEAN member-states adopted the Declaration on the Protection and Promotion of the Rights of Migrant Workers in Cebu, Philippines. ASEAN, while divided on a number of issues, was united when it comes to tackling terrorism, a problem faced by the Philippines, Indonesia and Malaysia. The Philippines in particular just ended a five-month siege in Marawi city, Mindanao which was caused by the ISIS-inspired Maute group. ASEAN said it will take on additional preventive measures to stop the growth of terrorism in the region. These include education and enlisting the help of the women and youth sector to counter extremist leanings. When it comes to another threat to security, however – the nuclear ambition of North Korea – ASEAN, while one with the rest of the international community in condemning its launching of intercontinental ballistic missiles, did not go as far as asking its member-countries to cut ties with North Korea. “Cambodia and Laos in particular have close relations with North Korea and this has not changed despite the focus on international pressure in North Korea,” Malcolm said. In trademark ASEAN diplomacy, the regional bloc also kept its doors open to North Korea in the ASEAN Regional Forum (ARF). The ARF has previously been touted by ASEAN as a venue for the six-party talks between North Korea, South Korea, the US, Russia, China and Japan. Under the Philippine chairmanship, Malcom said ASEAN gained some headway when it comes to trade, signing the ASEAN-Hong Kong, China Free Trade Agreement (AHKFTA) and the ASEAN-Hong Kong Investment Agreement which could spur business opportunities in the region. The regional bloc has yet to gain significant progress though in the negotiations on the Regional Comprehensive Economic Agreement, which aims to lower tariffs and strengthen regional economic integration and cooperation. Batongbacal said that ASEAN also deserved some plus points for putting the spotlight on the role of micro, small and medium economic enterprises in economic growth. Posted in APEC, ASEAN, ASEAN Economic Community, China, Defence-Security, Diplomacy, East Asia Summit-ASEAN, Foreign Policy, Human Rights, North Korea, Peace and Development--The ASEAN Way, Philippines.